The Chiefs are back in action against the Blues this weekend after a bye in the last round and their season came to life last month following two vital victories on their overseas tour against the Bulls and Jaguares. All Blacks lock and Chiefs co‑captain Brodie Retallick is another welcome addition for the weekend after he was rested for the Jaguares win. All Blacks midfielder Anton Lienert‑Brown, who's been in superb form for the Chiefs throughout their improving campaign, said facing the Blues at FMG Stadium Waikato would be the best test for the credentials of both sides. 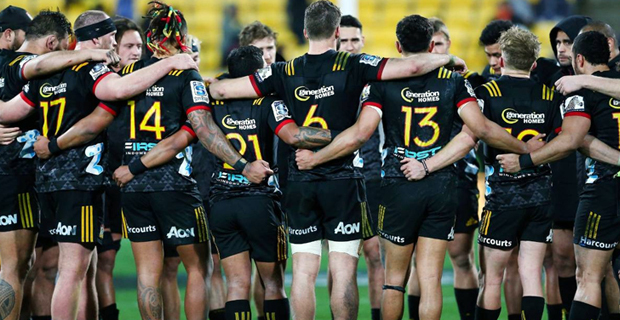 The Chiefs will take on the Blues at 7.35pm this Saturday. On Friday the Crusaders will face the Highlanders at 7.35pm while the Rebels meet the Stormers at 9.45pm.